Dr. Manoj Naik is a qualified medical doctor who practices in Pune and also studies yoga at the Institute. The interview, which is reproduced here, was taken by the French Television. How did you start doing yoga? A senior colleague practicing at the Institute introduced me to this subject. She said you must do yoga as you will benefit in all aspects. I was skeptical initially and told her that I swim regularly, jog etc., and I did not need any other form of exercise. Frankly, six years ago I did not know about the Institute at all. I started yoga at my colleague’s insistence. Do you feel any benefit? The results were surprising. I was exercising earlier but no exercise produced such a sense of exhilaration, such a deep sense of relaxation as felt after asanas. Initially the benefits were more physical, apparently in the form of flexibility etc. But now I am feeling the mental aspects (nature) of asanas. Regular practice is helping me very much especially considering my irregular schedule as a doctor and stresses of emergencies in medicine. I make it a point not to miss practice and if I do then it makes me uneasy. Would you call yoga a form of exercise? It may seem like exercise to a beginner but it is a philosophy, it is a way of life. With the modern craze for fitness, it is often projected as an exercise only. In fact this is one of the reasons why several persons say asanas are physical. What is the difference between yoga and other forms of exercise ? Let us first compare the physical aspects. In other exercises there is a limited movement of a few joints e.g. running involves predominantly legs/arms, so also in swimming. In asanas, all the joints of body are used to a full extent and kept mobile. In other forms of exercise, the effects on the organic body (abdominal organs and thoracic organs) are marginal. Asanas have a tremendous effect on these organs. You don’t exercise your organs while running, weight lifting, cycling etc. But consider twistings e.g. in Bharadvajasana (when correctly done), the upper abdominal organs (liver/spleen/stomach) are exercised. In Marichyasana/Ardha Matsyendrasana, the middle abdominal organs (intestines, kidneys) are exercised. In Pasasana/Paripurna Matsyendrasana, the lower abdominal organs (pelvic organs/colon) etc. are involved. In fact in each and every asana there is some form of organic exercise. The best effect of the asana is on the mind. To achieve a correct posture you have to use the mind and other mental faculties intensively. In fact asana/pranayama is more of a mental exercise. The effect on the mind includes stability, lesser anxiety, no depression, no nervousness, and development of patience and perseverance. Also with proper modifications anybody from the young to the elderly can perform asanas. What is the basis of therapeutic yoga? The answer is found in yoga sutras, which states: “Sthira sukham asanam”. In any asana you should be stable and experience joy or a pleasing sensation, in each and every part of the body and mind. So if a diseased region is placed correctly in an asana then there is relief. Certain asanas have pronounced effects on certain regions e.g. twistings on back, standing poses, Urdhva Prasarita Padasana on the knees. So they are used for relieving back pain or knee problems. But it is impossible for a patient to perform the classical postures. Hence, the classical pose is modified in such a way that only the diseased part is placed in “asana-sthiti” – only then does the patient get relief. Have you learnt this at the medical school? Are doctors aware of the therapeutic yoga? No we don’t have yoga in our curriculum in our education. Nowadays some doctors are turning to yoga but majority of doctors are unaware. 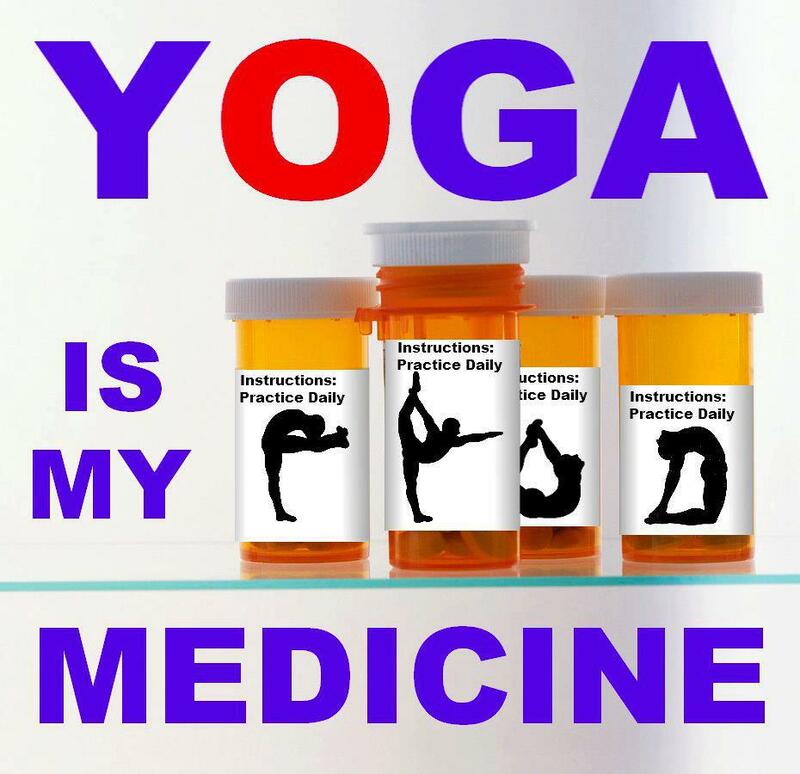 The feedback they get is only from patients who take both medicine and do yoga. Do doctors accept the role of yoga in treatment? These days, yoga is accepted as an alternative medicine but the response to it is mixed. Some laugh it off, some ask patients to continue, some even give bizarre suggestions such as don’t do Sirsasana etc., do only Savasana or, do Surya Namaskara etc. Medicine has its base on objective demonstration of facts, hence I think we put blinkers and tend to believe only in objective medical scientific studies or objective research. All other branches are viewed skeptically. Yoga is an entirely subjective science. The practitioner only on practice can experience the subjective experience in asana and pranayama. Hence until doctors practice they wouldn’t be able experience or understand the benefits of yoga. Objective documentation is difficult. A MRI scan can be done only when the patient is lying down; it cannot be done when the patient is in a sitting posture. Even if we manage to do a scan, the radiologist will find it difficult to interpret it. Functional anatomy has to be experienced, it cannot be documented. Most doctors have little knowledge about asana/pranayama so when some patient questions a doctor about them, he should humbly say that he doesn’t have any knowledge about the subject and cannot give any opinion or recommendation. How did you accept yoga as a therapeutic science? I will narrate one incident, which brought this change in me. Two to three years ago, when I was talking with Guruji he looked at my right hand and said: “Hey your right hand has problems!” I said “No”. Then he pointed out that my forearm muscles were thicker on the right as compared to the left. He moved my hand and said “your right shoulder blade has spondylosis.” I remained silent but thought “how can I have spondylosis? I can do all activities and move my neck without pain etc.” I also took the opinion of my colleague who is an orthopaedic surgeon. He told me that my hand was normal and that my right side being dominant was better built. But now I realize that what Guruji said was true. I see the faulty movements of right vs. left shoulder in Parsvottanasana and Gomukhasana. Occasionally, I get pain on the right deltoid, arm and forearm. Now, all x-rays will be normal, but if I don’t work on it, then it will progress to spondylosis after another 10-20 years. Now I understand something. Yoga is diagnostic as well as therapeutic. Asymmetry of two portions in asana, e.g. shoulder, gives us an idea of a forthcoming disease. One should learn to scan the full body with the mind once one is in the pose to notice any irregularities (diagnostic yoga). In therapeutic yoga, you use the region of the healthy side of the body as a guide for repositioning the side of the body that is diseased till the pain and discomfort disappears and a healthy sensation appears. Parsvottanasana etc. can be used for diagnoses as well as cure for shoulder and neck problems. Can you tell us about what medical aspects you have learnt in Iyengar Yoga? The above incident surprised me that I did not know my own body despite being a doctor. How could Guruji diagnose this defect in one glance? How is it that an orthopaedic could not diagnose it? That was when I would say that my medical ego was humbled. Subsequently I started attending and observing the medical classes. I started observing patients with various diseases: Heart problems, Spondylosis, Slip disc, Diabetes, Knee problems, Hip problems, Hypertension being treated in these classes and getting relief. But I had no clue on the mechanism of action. The realization then dawned that a lot of practice and subjective evaluation of effects of asana in various regions were a prerequisite for understanding medical effects. I must admit that even after six years of practice, my subjective knowledge is poor. Learning is a very slow process. I wonder how much effort Guruji must have taken for such subjective knowledge about therapy. It is amazing. He doesn’t even ask many patients what they are suffering from. A simple look at the person while standing/walking or in a posture is sufficient for him to diagnose the patient’s disease. What is the similarity between yoga and medicine? Both are for helping or alleviating the suffering of mankind. But yoga is a preventive medicine par excellence. WHO defines health as not only absence of disease but social, physical and mental well being. Medicine has no answer for physical, mental and social well being of the individual. But these concepts are imbibed in Astanga Yoga very well. Personal mental well being is niyamas – sauc, santosa, tapas, svadhyaya, Isvarapranidhana. Social well being is yamas – ahimsa, satya, asteya, brahmaccarya, and aparigrahah. Medicine is like sighting a fire once it starts. Yogic principles are safety measures to prevent a fire. Thus if properly used then their roles could be complementary. Has attending the medical classes helped you ? Yes, Though medicine is an objective science, it has many myths that were entirely shattered. For example, in cases of slip-discs, we doctors recommend that the patient should avoid bending forward. But, here you see that forward asanas when done correctly give great relief to the back. My wife has three prolapsed discs on a MRI scan and she gets a lot of relief. Another myth is that one should not do Sirsasana after the age of 60 or if you have stroke etc. But Guruji at 82 does all the inverted asanas. There is a patient who is over 65 and has had a stroke. Guruji teaches him Sirsasana after making him perform the proper preparatory postures. Medical principle is “do no harm.” Even if you may not help the patient improve but do no harm. So, you advice the patient not to climb stairs for a knee problem, or ask him not to bend for back problems or advice bed rest for substantial periods. Guruji recommends another principle. Can you help the patient do more without doing any harm? In fact this is the principle of therapeutic Iyengar yoga. How did yoga help your wife ? She had episodes of acute disc prolapse requiring bed rest for eight days or more each time. Even ordinary household activities gave her chronic pain. Now after six months of attending medical class, the range of her back movements has increased and she has practically no pain. She is a general surgeon and has probably understood the importance of yoga in preventive surgery. In what type of illness is yoga helpful? The medical class has patients with a range of disorders. In yogic research our own body is the laboratory while the mind is the researcher and analyst; the new movements and actions which give relief are the pills or injections. So if you have a patient with a particular problem then research on your own body for the appropriate pill (asana) and then gently apply it to any patient. PDF format (42 Kb) requires Acrobat Reader. In order to view the file, you need a program called “Acrobat Reader,” or “Adobe Acrobat.” This program is normally installed in computers with an internet connection. However, if you don’t have the program, or if you have got an old version, you can download it for free. If you have problems downloading the files and/or printing them, you can email us and we will try to help you. Dr. Manoj Naik is a qualified medical doctor who practices in Pune and also studies yoga at the Institute. The interview, which is reproduced here, was taken by the French Television. We would like to thank the publishers of Yoga Rahasya for giving the permission to reprint this article. Copright © 2001 by Yoga Rahasya. The interview is reproduced here with the permission of the publishers of Yoga Rahaysa, where it first appeared (Yoga Rahasya Vol. 8 Nr. 3, 2001). More information on Yoga Rahasya, e.g. how to subscribe to this quarterly publication, can be found on our site, as well as on the official website of Yogacharya BKS Iyengar. 1. What is the relation of traditional Yoga to Iyengar`s Asana and Pranayama practise and teaching? 2. How does he substantiate the emphasis on both? 3. What role do the other six of the eight limbs play and how does Iyengar regard the interrelationship of the various limbs towards one another? 4.1 How traditional is Iyengar`s practise of Asana and Pranayama? However, among what has been writen about Iyengar`s life so far, only a few hints can be found as to what exactly was conveyed to him by his Guru. Iyengar says that in 1934 his brother-in-law Shri T. Krishnamachar, a great Sanskrit scholar and director of a Yoga school in Mysore, had offered to teach him how to do some Asanas in order to improve his health. Krishnamachar had learned Yoga from Ramamohan Brahmachari, a Yogi who lived in Tibet near the lake Manasarovar. I was not able to find any more detailed information about the yogic, religious background of this man. It is known that Brahmachari was a very strict authoritarian teacher, who taught not only Asana and Pranayama but also emphasised the study of Patanjali, a combination which later became very important for Iyengar´s approach. Apart from these two short periods of training, Iyengar never mentions any Yoga instruction received from his Guru Krishnamachar. Moreover there is never a word about philosophy, meditation or religious teachings, only Asanas. As for the Asanas, one can say in short that Iyengar, starting from traditional forms of Hatha Yoga and working almost completely on his own, succeeded in making a revolutionary breakthrough regarding both the way of practising and teaching them. His approach leaves far behind all which has so far been called Asana. Iyengar says that he had only once the opportunity of watching Krishnamachar for some minutes in Nadi Sodana Pranayama, and that, in secret. Thereby he learnt the erect sitting posture, the practise of which was very difficult for him for years because, due to his excessive practise of backbends, he had lost the ability to hold himself erect. As mentioned above the extreme Pranayamas, which Iyengar had taken from manuals, including the counting of breath, did not lead him to success. So in the course of time a more gentle, simplified and yet refined method of breathing emerged. This new method is closer to the original Pranayama as described in the Upanisads, the Gita and Patanjali than to many of the techniques written down in the later Hatha Yoga texts and commentaries on the Yoga Sutras. One can summarize the relation to tradition of Iyengar´s Asana and Pranayama by saying that it was indeed his Guru who has sown the seed of yoga in him. What he received from tradition was not more than a small, albeit powerful germ. The detailed analysis of the Asanas and Pranayamas and the many innovations in practising and teaching them must be ascribed to Iyengar´s genius. 4.2 How does he substantiate the prominence of Asana and Pranayama? 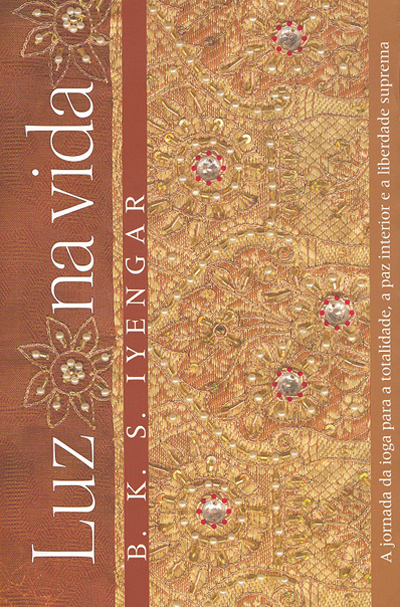 In Iyengar´s publications various arguments are brought forward in favour of this prominence. I want to summarize them under three headings. So it´s obvious that the Iyengars know and sometimes also advocate the common pattern describing the eight-limbed path as a step-ladder in which the lower step serves as a presupposition for the next one. Later it will become clear that this is not the ultimate and innovating view that B.K.S. Iyengar finally developed. When we assess Asana-Pranayama as nothing but preliminary to the higher stages of Yoga it remains unexplained why Iyengar doesn`t teach these stages, too. Though Dhyana is always mentioned in his books (and also in Geeta S. Iyengar´s “Yoga – A Gem for Women” ) it is hardly explained in contrast with the other exercises. The teachings which are given by the Iyengar family at the RIMYI-Institute in Pune coincide in this connection with their writings. Let us see if the arguments Iyengar delivers to legitimize this are convincing. Iyengar here understands Samyama as the fruit of practise which comes as its perfection. It is to be experienced directly only and cannot be demonstrated or corrected by others. So a reason for the fact that the Iyengars don´t teach Samyama at their institute is indicated: It is not possible for a teacher to teach these areas. Craving for “instant enlightenment”, demonstrated above all by a special sort of Western travellers to India, often results in circumventing the “lower” limbs of Yoga. Those who seek “mystical experiences” or “altered states of consciousness” often practise exclusively so called “meditation techniques”. Not only does Iyengar consider this to be dangerous, he also sees in it an abuse of Yoga, a kind of sacrilege. “Even a man like Arjuna had to beg Lord Krishna “, he says, “to bless with divine eyes for him to see the infinite light of the Lord, when the Lord graced him to look at his form. This instance is sufficient for seekers like us. To know that, we have to build up that strength and vigour to face the light of the Divine when divinity graces its light on us.” From this point of view Asana and Pranayama are a humble preparation for receiving the grace of God, a request that He might bestow on us the eyes that enable us to see His light. Unless we can realize this dimension of Asana-Pranayama, that they -like a prayer- are a manifestation of our longing for the presence of God, we cannot touch the deepness of Iyengar Yoga. However, neither the graciousness of deep meditation, which always comes as a gift of the deity, nor the greedy attitude of some spiritual greenhorns preclude the regular practise of Dhyana as such. Summing up, one can say that the arguments brought forward so far do not suffice to substantiate the almost exclusive practise of Asana and Pranayama in Iyengar Yoga. Ultimately, Iyengar´s personal dedication to the practise of Asanas, which has been absolutely central for decades, is probably at the root of it. But does that mean that all of his life he spent only on the preparation for higher Yoga? In order to see why, according to Iyengar himself, this was not the case, we now have to get through to the core of his interpretation of the eight-limbed path. In the texts just quoted, Iyengar speaks his very own language, taken directly from a training situation. It is not scholastically alienated as seems to be the case with some of his more theoretical commentaries on the Yoga Sutras. From the standpoint of the practitioner he calls into question the premise that the eight-limbed path is a sequence of steps, one following the other. He rather suggests that only “put together” i.e. taken as a unity they form Yoga. Because the eight-limbed path is an indivisible whole in every partial field of it, at least potentially, the entire way of Yoga is present. From this thought it follows that those who are serious about one of the limbs of Yoga are able to attain what Yoga as a whole is about through intelligent practise of that limb alone. This is Iyengar´s unique interpretation of the eightfold path, which has no precedent as far as I know. Formulated with reference to Patanjala Yoga, Iyengar suggests that the various areas mentioned in the third chapter of the Sutras as a field for the application of Samyama are replaced by the refined practise of Asana and Pranayama, which includes the development of the other parts of the eight-limbed path. How this can happen, I want to work out in greater detail in the second part of this essay, paying particular attention to the last three limbs of the Astanga Marga. Ramamani Iyengar Memorial Yoga Institute, Know your Institute, Pune 1985 (Internal document), p.4. Light on Yoga Research Trust (Ed. ), op. cit., pp. 4-5. B.K.S. Iyengar`s 60th Birthday Celebration Commitee (Ed. ), Iyengar. His Life and Work, Porthill, Timeless Books, 1987, p.197. Light on Yoga Research Trust (Ed. ), op. cit., p.74. Ramamani Iyengar Memorial Institute (internal document), p. 4. Trevor Leggett, The Complete Commentary by Sankara on the Yoga Sutras: a full translation of the newly discovered text, London, Kegan Paul International, 1990, p. 261. B.K.S. Iyengar, Light on Yoga. Yoga Dipika, London Sydney Wellington, Unwin Hyman, 1989, p. 27. See Geeta S. Iyengar, Yoga – a Gem for Women, New Delhi, Allied Publishers Private Limited, 1983, pp. 16-18. A very similar scheme underlies the book of Silva, Mira and Shyam Mehta, Yoga: the Iyengar way, London, Dorling Kindersley Limited, 1990. See Geeta S. Iyengar, op. cit., pp. 295-301. Light on Yoga Research Trust (Ed. ), op. cit., p. XXXII. Noelle Perez-Christiaens, Sparks of Divinity, Paris, Institute de yoga B.K.S.Iyengar, 1976, pp. 79-80. Dona Holleman (Ed. ), Yoga Darsana of B.K.S. Iyengar London, 1970-1974, Vol. II: Savasana, Pranayama, Sutra, Firenze, Donna Holleman, 1987, p. 134. B.K.S. Iyengar, The Tree of Yoga. Yoga Vrksa, Boston, Shambala Publications, 1989, p.46. Both in India and in the Western World the way of Yoga developed by B.K.S. Iyengar has caused considerable controversy over the past two or three decades. One cannot say that the debate so far has been on a particulary high level. It rather can be characterized by repetition of a handful of cliches. One might wonder what psychological dynamic exists behind the fact that two groups by virtue of their prejudices constantly dismiss one another with the same arguments. It turns out very often in such cases that each side hits the other where it hurts. However, instead of admitting to being hit each replies immediately with a counter-attack. I do not want to take part in the controversy between the “knee-cap-yogis” and the “armchair-yogis”, but instead try to contribute towards transforming this often fruitless quarrel into a more interesting discussion. In order to go beyond the usual prejudices and to enter into an objective investigation it is necessary to study carefully the relationship between Iyengar`s way and the traditional Yoga. To take a few beginning steps down this path, I use Iyengar`s remarks on this issue as a starting-point. As Iyengar Yoga is very complex, and the tradition of Yoga as a whole is an extensive and difficult subject, I can tackle only a few aspects of it without claim to completeness. First it must be asked what Iyengar means when referring to traditional Yoga. Which traditions of the manifold history of Yoga are essential to him? Next the way in which he himself determines his relation to the traditions must be examined. Where does he see conformity and where differences? Also the relationship of Iyengar´s Asana and Pranayama practise with the traditional forms should be looked into. Finally it would be particularly interesting to know the reasons he gives for the peculiarities of his method. Here an answer is given to our first question of what Iyengar refers to when he speaks about the tradition of Yoga. His primary source of reference, he says, are the Yoga Sutras of Patanjali, particularly the Astanga Yoga as described in the second and third chapters of the Sutras. A glance at the introductory chapters of “Light on Yoga” and “Light on Pranayama” confirms this, for when answering the question “What is Yoga?” he mainly builds upon Patanjali there. Light on Yoga Research Trust (Ed. ), 70 Glorious Years of Yogacharya B.K.S. Iyengar, Bombay, Light on Yoga Research Trust, 1990, p. XXVII. Of course, Iyengar´s assertion of practising “pure Astanga Yoga” sounds overstated and often combative in tone. This exaggeration can be understood only when read in the context of the criticism he had to put up with all his life, which reproached him for being imperfectly rooted in the Yoga tradition. Aside from that, as part of the social role of the Guru which he usually plays when making speeches, Iyengar never says “perhaps” and “probably”, but rather tends to speak in terms of absolute certainty. This kind of behaviour is not necessarily pure vanity, since in Indian society a Guru is more or less expected to act like this. But who can claim to know what pure Astanga Yoga is? The Yoga Sutras are multifaceted and opaque, and like every historical document they are only with us having passed through a history of interpretations and reinterpretations. Doesn´t Iyengar himself say, that his view of Astanga Yoga is influenced by the Gita, Hatha-Yoga texts, Upanisads etc…which are hardly compatible with Patanjali´s Yoga ? The basic question here is: What does purity mean ? It is a very superficial understanding of purity if one thinks something only remains pure as long as it is repeated in the same way. A thing is pure insofar as it remains in unity with its primary source and essence and therefore is not alienated to itself. In the flow of time such an identity is only possible if the thing changes, always showing itself in a fresh and new way. And for that reason if we want to preserve the purity of something we have to keep it alive by transforming it according to new ways of understanding, which fit to our time and experience. Iyengar considers his way as traditional Yoga in that he regards the Yoga Sutras, particularly the eight-limbed path, as a suitable categorial framework of Yoga in general and of his special method, too. In this he takes the liberty of unconventionally reinterpreting the Sutras from his experiences, taking Yoga practise and teaching into a testing ground for the thoughts written down in the old texts. The problem from which my thoughts about Iyengar`s reference to the Yoga tradition proceed can be expressed in the following manner: Every mindful reader of “Light on Yoga” will ask what the relation is between the comparatively brief introductory part dealing with traditional Yoga philosophy and the very voluminous description of the various Asanas which follows. The book itself does not give a satisfactory answer. There is a gap between the two parts and this gap is the yet unbridged difference between the tradition and Iyengar´s own approach to Yoga. In “The Tree of Yoga” Iyengar takes an important step in the direction of an original “Iyengar Yoga philosophy”, which integrates the old Yoga by trying to illustrate and explain the implications of his practise of Asana using Patanjali´s eightlimbed path as a conceptual framework. The following interpretation is based mainly on the second part of this book. In “The Tree of Yoga” Iyengar sticks to the view taken in the passages already quoted concerning Yama and Niyama. As earlier in “Light on Yoga” he describes Yama as the root from which all Yoga grows. But now he shows which place Yama takes in the practise of Asana itself, how it is present when we work on the pose. More deeply and in more detail than ever before he develops the connection of Yama with the basic principle of Asana: the proper extension of the entire body. This extension means Ahimsa, because it avoids the violent forms of over- and under-extension which lead to injurious strain on the one hand and on the other hand to slackness, which is just as destructive because functions not being used waste away and finally die. Satya, truth in the exercise of the body, according to Iyengar, is gained insofar as the single stretch which moves the whole body, reveals the reality of our embodied being. The weak points are not avoided but integrated into the exercise. Slumbering points are awakened and the openness of our bodily existence increases. Practise of this kind leads to Brahmacharya, continence in the sense of development of inner energy. The mind stops wandering around; stops being driven by different wants and desires. The energy is not wasted but on the contrary circulating inside the body without loss. The opening of a complete stretch also liberates from greed and the attitude of grasping and holding on to things. In this way Asteya and Aparigraha (non-stealing and freedom from greed) are integrated into Asana to some degree. Practising Asana means a purification (Sauca) of our embodied being: Our capacity for mobility is regained, as is upright posture and unrestrained movement. This leads to satisfacton and feeling comfortable with oneself (Samtosa). The following principles of Niyama are more demanding and presuppose more experience and understanding. Tapas: a burning desire to give the maximum by performing a pose, carrying the aspirant beyond self-imposed limitations, which are all too often determined by inertia. In the fire of Tapas the longing for the divine is already stirring. Svadhyaya: Through devotion to practise the practitioner learns to know the various dimensions of her´s/his own being. The way we do the poses reflects our mode of living in the world, including our attitude towards the divine source of the universe. In general, it may be added that a pose can only be felt fully if it is pervaded with relaxed breathing. Paying attention to the tension, relaxation and expansion connected with breathing plays an essential role in deepening the Asanas towards meditation. Moreover, the so-called postural-prana mentioned below is a phenomenon which is supposed to occur only in connection with sensitive breath flowing through the entire body. The cleansing of the doors of perception called Pratyahara entails a change of attitude towards that which is given through the senses. It is not our senses that need to be held back but we ourselves, since we block the senses with our self-centred possessive armour. The more we free ourself from this armour the more our senses are free not only to turn towards the outer world but also to turn inwards towards their source, which is hidden in darkness and silence. Dharana is more than simple concentration in the sense of stupidly staring at a certain point. It is an accurate care which heeds that neither the thing which is held by one´s attention nor the self of the one who holds it is lost. A story told by Somadeva in his Katha-Sarit-Sagara illustrates very well how Dharana implies dedication of the whole person: “Vitastadatta was a merchant who had converted from Hinduism to Buddhism. His son, in utter disdain, persisted in calling him immoral and irreligious. Failing to correct his son´s obnoxious behaviour, Vitastadatta brought the matter before the king. The king promptly ordered the boy´s execution at the end of a period of two months, entrusting him to his father`s custody until then. Brooding on his fate, the lad could neither eat nor sleep. At the appointed time he was again brought to the royal palace. Seeing his terror, the king pointed out to him that all beings are afraid of death as he was; therefore, what higher aspiration could there be than practising the Buddhist virtue of nonharming at all times, including showing respect to one`s elders. The story shows what Dharana in Yoga should be: Being glad of the chance to win one´s life and liberation, taking this chance with total attention on what is necessary to gain them. In practising Asana according to Iyengar´s method, the specific posture becomes the place of meditation. What is Dharana directed toward in the pose? Iyengar says: “Dharana is concentration on a point. Dhyana is concentration from that point without losing the source: ´Can I attend the rest of the body?´” Here it is said that Dharana is directed to certain points of the body which Iyengar calls sources. What kind of points are they and why are they called sources? “If you know the source of each and every asana,” he says, “then you are very nearer the truth. Otherwise it is just a branch moving.” From this it follows that the sources of the Asana are those places of the body from which the truth of the pose, i.e. that which it truly is, its nature, can be understood and brought into appearance. Therefore Iyengar sometimes also calls the source the “brain” of the Asana, the brain being the organ of orientation, insight and reflected action. Through the “brain” or “source” the position can be built up with intelligence and held according to its nature. Every source gives birth not to a part but to the whole of whatever emanates from it. So does the source of the Asana. It opens the posture as a whole. If the Asana doesn´t spring from the sources, it doesn´t become fully revealed in its unity. Instead, only parts are moved, in an isolated way: “It is just a branch moving”. Where are these sources? “Whatever pose you do, that which is in contact with the ground or nearest the ground is the brain.” Just as a building can only be erected on a solid foundation, being rooted in the ground is decisive for the various poses. The entire Asana springs from those points through which by breathing and with the weight of our body we unite ourselves with the supporting ground that gives us stability and the firm base to bring ourselves upright or to relax like in Savasana. One has to expand the attention from the area that has been particularly extended over the whole body without losing the openness and stretch in the extended part. In doing this, Dharana already merges into Dhyana. As far as the practise of Asana is concerned, the transition from Dharana to Dhyana means the development of awareness of the whole pose which transcends the concentration on different points and details. At the end of the last section I already pointed out that this transition is of great practical importance and therefore I want to dwell a little longer on the question of how this change is possible. The wholeness of our bodily existence in a certain pose is always already there before we start to look at the manifold details. We don`t have to compose completely separated parts of our body and body-awareness. They originally exist in unity. But this unity and wholeness is more or less disturbed, dull and uprooted. So we have to work on the details to restore it from the sources. As I already mentioned above a source is something which gives birth to something else that in its entirety springs from it. If you look at a mighty river it is almost incredible that it owes its existence to some little springs up there in the mountains. Although sources usually are small and inconspicous, they are the real centers of energy, more powerful than whatever is originated by them. If source is the correct designation for the parts of the body upon which Dharana is to be practised in Asana, then these points must have the hidden power to emanate the correct pose in its entirety. How does this springing of the whole pose from the sources happen? It doesn´t happen just by itself without the practitioner´s endeavour. Dharana, fixing the attention upon the sources of the pose, means more than just to feel specific points. In order to let the source be a source one must allow the position to spring from it. This happens if we extend ourselves from the sources into the various directions inherent in the pose. Extension is the key to Dhyana in Asana. It is a movement that is impossible without a continous flow of attention. The moment we lose our attention the extended part is dropped and becomes dull. But the attention needed for extension is not in points. It is spreading throughout the whole extended area. The more the pose is unified in one single but multidimensional stretch the more the practitioner is aware of her´s/his bodily being as a whole, opening itself in every direction in which the pose is pointing. Anyway it´s true that the extension of the body in a correctly performed Asana is essentially not achieved by arbitrary muscular contractions but rather by placing the joints and bones into their correct positions and then following the directions of extension which inhere in the structure of the pose interacting with gravity. When this is done, the contraction and release corresponding to the posture come by themselves and a flow is felt under the skin going in circles and running through the body, enlivening and invigorating the practitioner. The more correct the position, the clearer and simpler are the resulting circuits of prana along the arcs of extension and the easier an integral awareness of our bodily existence comes. The main traits of the pose are carved out and through this we as performers gain a well centered body-profile vibrant with life. This experience is supported by the development of the so-called body-scheme which unfolds through practise. In psychology the body-scheme is defined as the sense of location and direction regarding ones own position and movement. This sense is absolutely necessary for orientation. Without the perception of where our arms and feet are, how long they are, in which direction they move and how far they can reach, our behaviour would be totally confused. The knowledge of these things is primarily not imparted by seeing but by the inner feeling of the body. Usually it´s limited within the narrow scope of daily life demands, but through Yoga we are able to widen it. Being still unfamiliar with the poses in the beginning of training, one doesn´t know, for instance, which joint is stretched, or how far backward one´s leg can reach, etc.. Just as with learning to play the piano, because of our mistakes we initially have to turn our attention again and again to the detail movements and away from the sound of the whole. But the more the body-scheme develops, the more natural the pose becomes and the less it needs to be watched and corrected from outside. Then Asana becomes a way of being ourselves: No more “I am turning my knee to the right ” but “I am entirely in the pose”. The widening of the body scheme is promoted by what might be called structural analogies and symmetries. The analoguos structure of the limbs and the different symmetries in the entire body are conducive to a personal presence in the pose as a whole and therefore it is helpful to pay attention to it in the practise of Asana. The experience of symmetry always implies an experience of the centre, the middle line. Centering ourselves in Asana leads our dismembered Ego to the remembrance of the Self, which is the aim of Dhyana. In Samadhi the meditator is not concerned with her/himself any more. The knowledge of the meditated place loses the structure of “I know this”. It becomes pure openness in which the place alone is present and the presence of the place is at the same time the awareness of the meditator. Both are in unity. What does this mean when an Asana is the place of meditation? As soon as the resistance dissolves and nothing stands between the pose and the one doing it, the possibility of Samadhi is given. 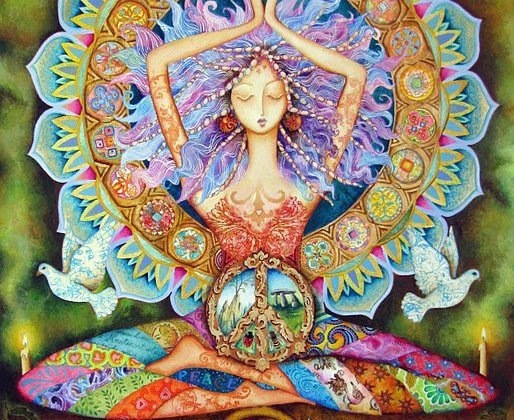 By divine grace the pose may become the presence of the self. “The mind should fade into the Vastness; the mind has to dissolve, and the self has to approach the subject”. The body recedes from consciousness because the extension the practitioner has opened to goes beyond to the vastness of the universe and into the depth of its hidden origin. Staying firmly and quietly in this openness the depth of being shines forth and the joyful nearness of the divine can be felt in the cave of the heart. Light on Yoga Research Trust (Ed. ), op. cit., p. 42. See B.K.S. Iyengar, The Tree of Yoga. Yoga Vrksa, op. cit., pp. 50-51. See B.K.S. Iyengar, The Tree of Yoga. Yoga Vrksa, op. cit., pp. 52-53. B.K.S. Iyengar`s 60th Birthday Celebration Commitee (Ed. ), op. cit., p. 503. Ibid. 57-58. The problem of breathing in the Asanas is also treated by Geeta S. Iyengar, loc. cit., 75-76. B.K.S. Iyengar, The Tree of Yoga.Yoga Vrksa, op.cit., p. 63. See Donna Holleman (Ed. ), op. cit., 114 and 120. B.K.S. Iyengar, The Tree of Yoga. Yoga Vrksa, op. cit., p. 41. Concerning the etymology of Dharana, Dhyana and Samadhi I follow J.W. Hauer, Der Yoga. Ein indischer Weg zum Selbst, Stuttgart, 1958, Kohlhammer Verlag, p. 319, 322 and 340-341. According to the translation of Trevor Leggett, op. cit., p. 282. G. Feuerstein, Yoga. The Technology of Ecstasy, Los Angeles, 1989, Crucible, p. 192. Dona Holleman (Ed. ), op. cit., p. 125. B.K.S. Iyengar, The Tree of Yoga. Yoga Vrksa, op. cit., pp. 41-42. See G. Feuerstein, op. cit., pp. 192-193. Cf. Trevor Leggett, op. cit., p. 283. “Extension is attention” Iyengar says in D. Holleman, op. cit., p. 111. Arthur Kilmurry, Sarvangasana, in: Yoga Journal, Sept./Oct. 1990, p. 33. To say it in terms of Indian philosophy: The pranamaya-kosa is pervading and enlivening the annamaya-kosa. This relation is not reversible. Noelle Perez-Christiaens, op. cit., p. 70. Yoga Sutra III, 3 translated by Trevor Leggett, op. cit., p. 283. Donna Holleman, op. cit., 118. Geeta S. Iyengar, op. cit., p. 25. Adhama significa inferior e pranayama se refere, genericamente, às técnicas respiratórias que visam expandir e equilibrar a energia vital. Nesta técnica fazemos com que a respiração se processe predominantemente na parte baixa dos pulmões através do relaxamento consciente do abdômen. Essa forma de respirar está psicologicamente associada aos estados de relaxamento, harmonia e paz e também é como respiramos durante o sono profundo. Tapas is listed as the third of the five Niyamas in the Yoga Sutras of Patanjali. The word Tapas (à¤¤à¤ªà¤ƒ) means heat or fire. As a verb (from the root à¤¤à¤ªà¥ – ‘tap’) it can also mean to cause pain or suffering or to heat something up. Some of the common translations of Tapas are asceticism, austerity, self-discipline, determination, mortification etc. This niyama implies that we are putting the body through intense heat with the purpose of purifying it. The action is similar to that of a goldsmith who puts gold through intense heat in order to make it of a purer grade. Through the practice of tapas, one can become “tough” both physically and mentally so that one can withstand hardships that one faces in life. worshipping the deities, the guru, the parents etc. Practicing silence – either not communicating via speech or not even using physical or facial gestures. From tapas are derived some of the commonly used words such as tapasya or tapascharya (the act of performing tapas) and tapasvin (one who practices tapas, an ascetic). Tapasya implies a self-discipline or austerity willingly observed both in restraining physical urges and in actively pursuing a higher purpose in life. Through tapas, a yogi or spiritual seeker can “burn off” or prevent accumulation of negative energies, clearing a path toward spiritual evolution. Here, in this sutra, Kriya Yoga is defined as tapas (austerity), swadhyaya (self-study or study of scriptures) and Ishwara Pranidhana (surrender to Ishwara, the higher consciousness). Patanjali goes on to say that through the practice of Kriya Yoga, one can minimize the afflictions and also pave the way toward attainment of Samadhi. Tapas is again mentioned as one of the five Niyamas – shaucha (cleanliness), santosha (contentment), tapas (austerity), swadhyaya (self-study or study of scriptures) and Ishwara Pranidhana (surrender to Ishwara, the higher consciousness). As you will notice the last of the three niyamas are the same as those mentioned as part of Kriya Yoga. By the physical practice of tapas, for example by fasting or practicing yoga on a regular basis, we burn our excess fat and cleanse the body of toxins. By mental tapas, we can burn our old “samskaras (impressions)”. By verbal tapas, for example by observing silence, we can make our speech pleasant. When we practice tapas, obviously we may go through some hardships. But with practice we learn to accept hardships and suffering with the understanding that we are doing all this to purify ourselves so we can move along the path of spiritual evolution.